I’ve been hurt by many of the religious people in my life. Some said they were Christians, but acted completely unlike Christ. They gossiped, they rejected me, they didn’t show compassion or understanding, and they didn’t even want to talk to or get to know me or my heart. They made snap judgements, and false accusations. They slandered and lied. I expected everything opposite of that. That doesn’t look like Jesus at all. It didn’t sound like what He said or reflect the heart of what He intended. What I know of the heart of Jesus was for people – for all of us, to love each other as He loved us. That love to me meant being patient, considerate of others’ feelings, their thoughts, what they wanted, what they believed, their experiences and their needs. This is compassion, and should bring joy! 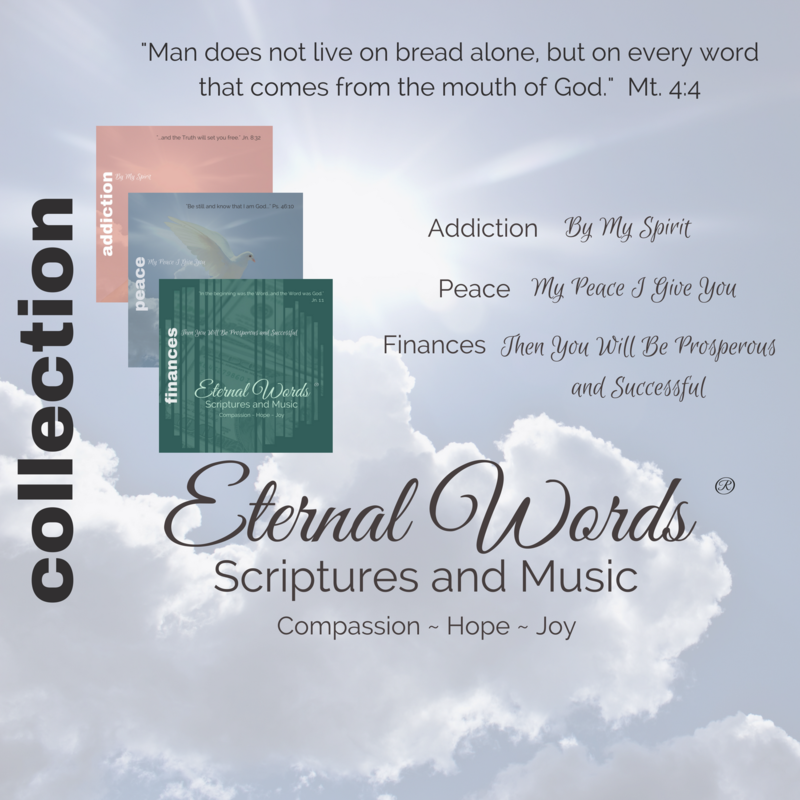 Out of all this, Eternal Words ® was created. 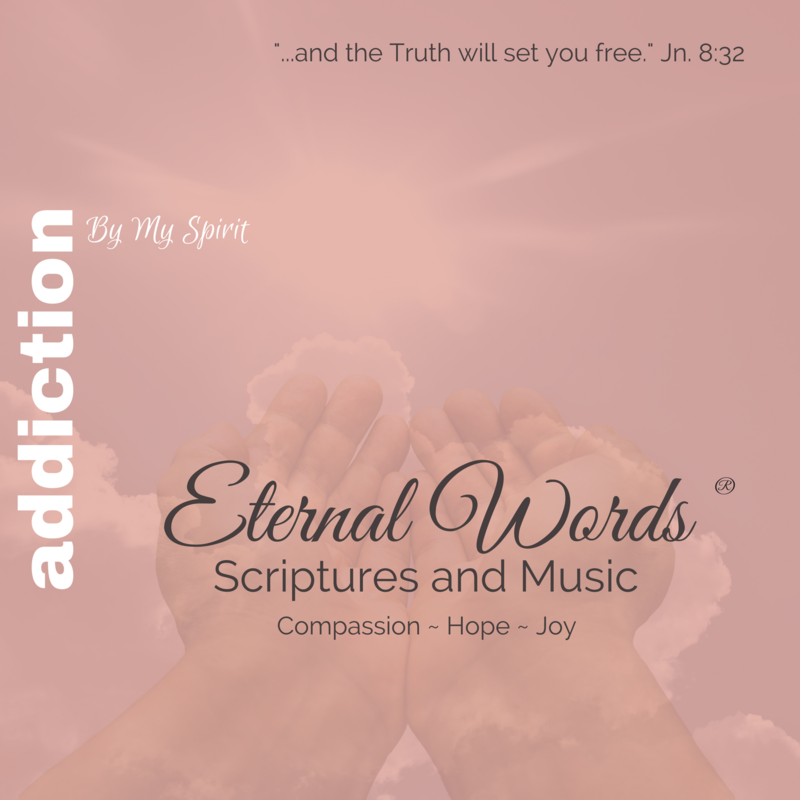 I felt strongly that I needed to compile scriptures to meet specific needs, put beautiful music background with them, and felt the message was clear: use only God’s pure words and do not add anything to them. 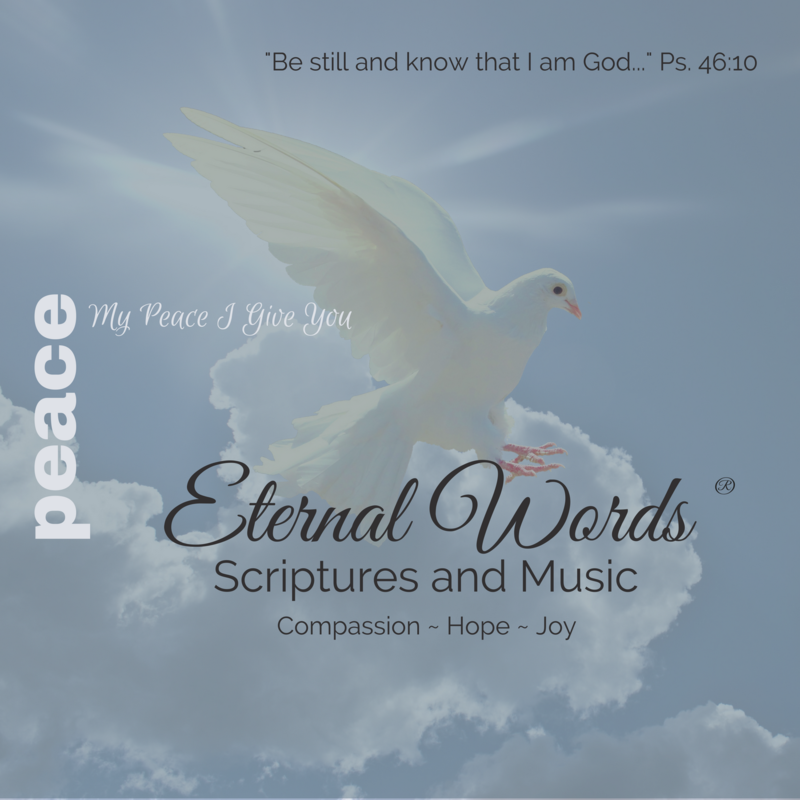 Not my thoughts, beliefs, worries and fears – just simply provide these recordings to that people could listen to God speak. So that His words, which really come from his heart, would be able to supersede our circumstances, our minds, and go directly to our hearts. That is where we are truly touched – where we can be healed where our needs can be met, where we can know God and know ourselves. Then allow people to decide for themselves what they believe about God. I believe that this creates a space for individuals to have a true and meaningful relationship with God which satisfies our souls. 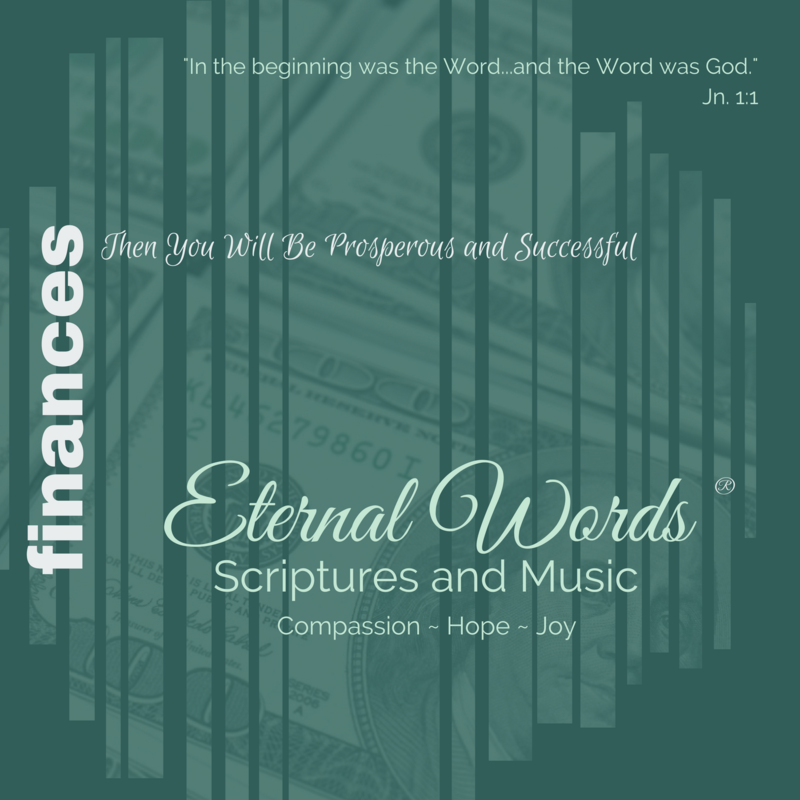 For the last 30 years this has been what Eternal Words® has been about. It’s the desire of my heart that, through listening to these pure words, you will experience God’s love.